A new CSIRO technology that takes the energy-sapping ‘drag’ out of industrial pumping has been adopted by major mining company Glencore’s Minara Resources following a successful full-scale trial. The drag reduction technology can save mining companies millions of dollars on energy and water use each year, while boosting their productivity. Minara's technical and engineering manager, Paul Wiltshire, said they installed the technology to improve the feed ore slurry pumping capacity at their Murrin Murrin nickel operation in Western Australia, which was overloading as they increased their ore throughput. "Working together with CSIRO, we were able to identify a low-cost installation point with good potential for reducing the slurry drag effect in the piping system," Mr Wiltshire said. "The technology freed up capacity, which meant we could avoid an expensive plant upgrade to meet throughput demand. "It was an immediate success and CSIRO’s drag reduction technology is now part of our toolkit when considering other slurry pumping constraints on site." Almost all mineral processing plants need to transport slurry – a semi-liquid mixture that can include water, ore and other material – through pumps at various process steps. 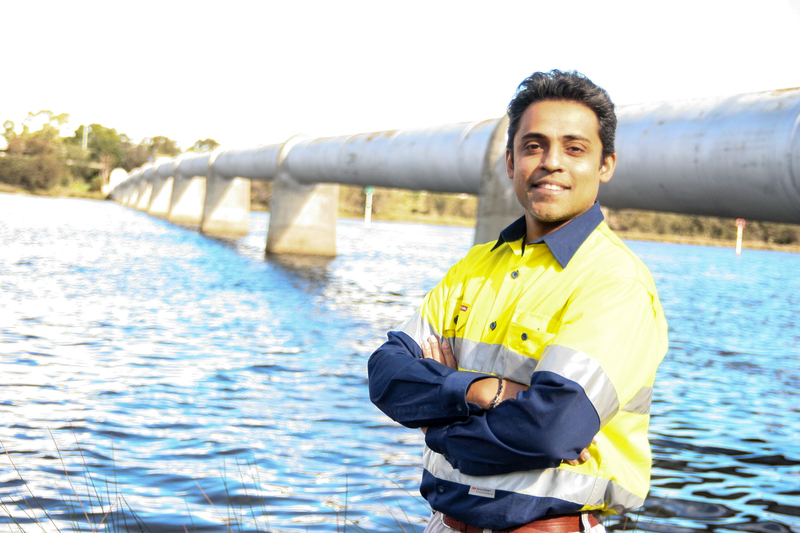 CSIRO senior engineer, Dr Rueben Rajasingam said that reducing water content, power demand and pumping inefficiencies always results in significant operational and cost improvements. "The thicker the material, the more friction or 'drag effect' you get which makes it hard to pump and more energy and capital-intensive," Dr Rajasingam said. "Water is typically added to dilute the material before pumping, but only as a last resort because the more water you add the less throughput you achieve. "Our technology combats both these challenges: it introduces a thin, uniform and long-lasting ring of fluid between the slurry and the inside of the pipe so that thick material can be efficiently pumped without friction at a high throughput." CSIRO's drag reduction technology offers a welcome boost to the mining and minerals processing industry which is in the midst of challenging times brought on by low commodity prices and the shift to increasingly lower-grade ores. It's simple, cost-effective, easy-to-implement and could be applied to a broader range of industrial processes where there's a dewatering aspect that results in a sludge, slurry or paste that needs to be transported, such as in construction, waste management, coating services and food processing. "For example, the construction industry is increasingly needing to pump concrete up higher and higher to build skyscrapers and so this could be a cost-effective solution for them to overcome challenges like blockings," Dr Rajasingam said. For the mining industry, the technology means that variation in the ore’s viscosity or water content, can be easily managed. It also offers a solution for backfill – a common mine site remediation technique where materials are pumped back into an exhausted open pit or underground mine to return ground stability and regenerate the site. "The idea of using a lubricant is not new, but we've come up with a better technology that overcomes issues with coating uniformity," Dr Rajasingam said. "The way we introduce the coating creates a thin, uniform sheath around the slurry, whereas other methods coat sporadically." Other CSIRO minerals processing innovations include a better performing agitation system called Swirl Flow, the world’s leading technology for rapid mineral analysis QEMSCAN, and new environmentally-friendly processes for the recovery of gold, nickel and cobalt. CSIRO senior engineer, Dr Rueben Rajasingam, says that the drag reduction technology offers a sustainable and cost-effective solution for industrial pumping.